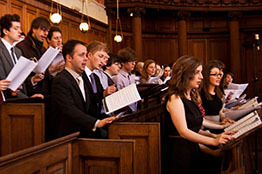 The Trinity College Chapel Choir is made up of students from across the University. 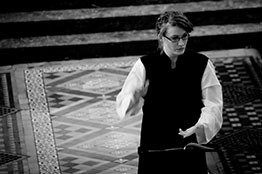 There is also a student Conductor, a student Organ Scholar, and a professional Director of Music who oversee the running of the choir, its music, and its day-to-day activities. 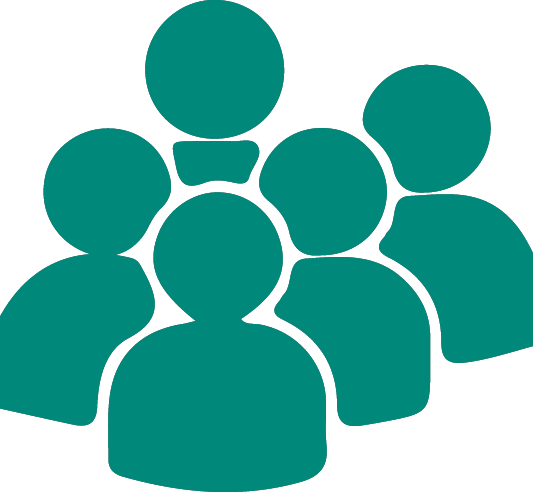 The choir sings at two Church of Ireland services a week during term time, at Evensong on Thursdays and the Eucharist on Sundays. It also sings at special services throughout the year, including the Opening of the Academic Year, the College Carol Service, and Trinity Monday, as well as at weddings, memorial services and many events, and is a regular contributor to RTE radio broadcasts. The choir also goes on two trips each year – one national and one international. In recent years, the international trips have included Copenhagen, Frankfurt, Hong Kong, and Venice. The choir's repertoire ranges from the medieval to the contemporary. As well as singing music from the traditional Anglican repertoire, it often sings works by present and past members of the choir. 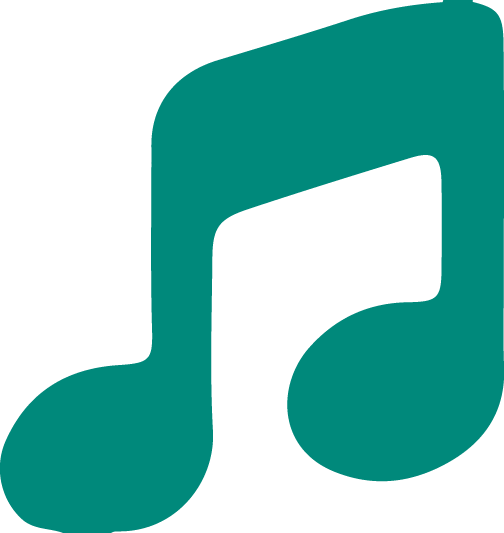 Further information on the music can be found in the 'Music' section of the website. St Patrick's Day: College closed. A brief history of the choir. Conductors, Organ Scholars, and Directors of Music. Provost Francis Andrews (1718–74) established the first choir in the College Chapel in 1762, just two years before the appointment of Garret Wesley, the Earl of Mornington, as the first Professor of Music to the College in 1764. Records show that Mornington wrote music for performance in the College Chapel, notably a Te Deum and Jubilate for the Sunday following the installation of the Duke of Bedford as Chancellor of the University in 1768. The performance of Mornington’s music came thirty years before the consecration of the current Chapel building in 1798. 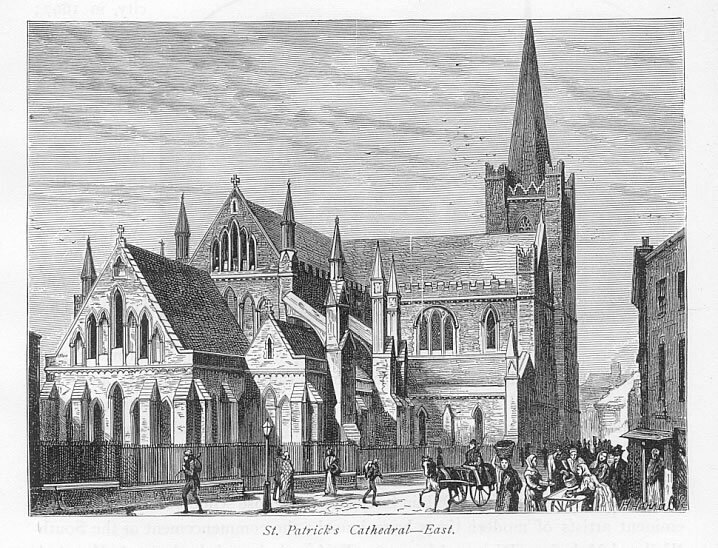 From the eighteenth century it was common for singers to hold simultaneous memberships of the choirs of St Patrick’s Cathedral, Christ Church Cathedral, and the TCD Chapel. 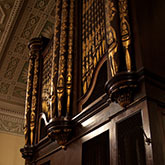 The promise of multiple sources of income attracted many singers and organists to Dublin from elsewhere in the British Isles. 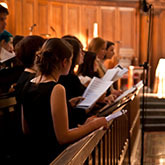 Choral music in the College Chapel was dependent on cathedral singers for nearly three hundred years until the late 1960s when an independent choir was set up in the Chapel at Trinity. Organ and choral scholarships were offered and a choir of twenty five voices was established. 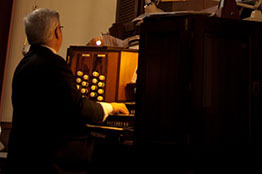 The roles of organ scholar and conductor of Chapel Choir were assumed by the organist with the records showing occasional help from an assistant organist. The first appointment of a conductor to Chapel Choir was in 1989. 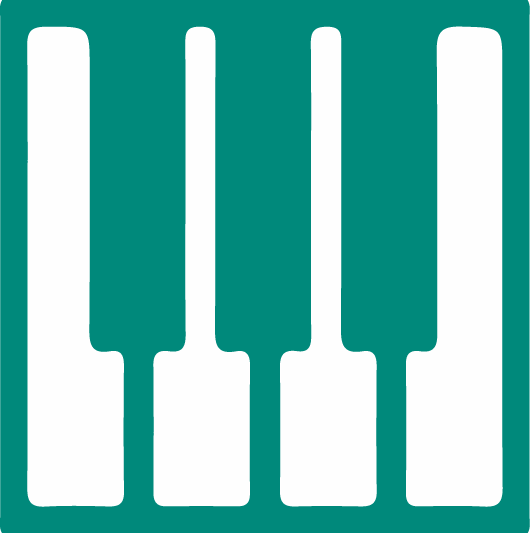 The current arrangement of organ scholar and conductor has been in place since 1995; they are both under the guidance of a professional Director of Chapel Music. 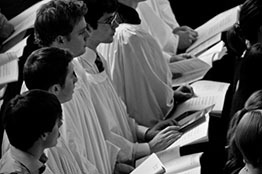 The TCD Chapel Choir sings every Sunday at 10:45 Eucharist and every Thursday at 17:15 Evensong. It has performed in national and international venues in both sacred and secular contexts, for broadcast on RTÉ and the BBC, and as part of a busy schedule of concerts and services that take place in the College throughout the year.